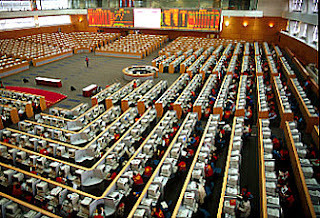 China's stock market capitalization topped the country's gross domestic product (GDP) for the first time on thursday (9th August 2007) as the key stock index hit a fresh high. The benchmark Shanghai Composite Index rose 1.95 percent to close at 4754.09 points, the foreign-currency denominated B-share index climbed 1.45 percent to close at 320.41 and the Shenzhen Composite Index went up 1.51 percent to 1,348.87. That made the overall value of the two bourses surpass the 21.087 trillion yuan (US$2.77 trillion) in GDP last year, according to data from the China Securities Journal. In the Shanghai market, 534 out of 901 stocks closed higher with turnover amounting to 138.09 billion yuan, a slide of 20 billion yuan from the day before. Wouldnt this be a great way to fly?